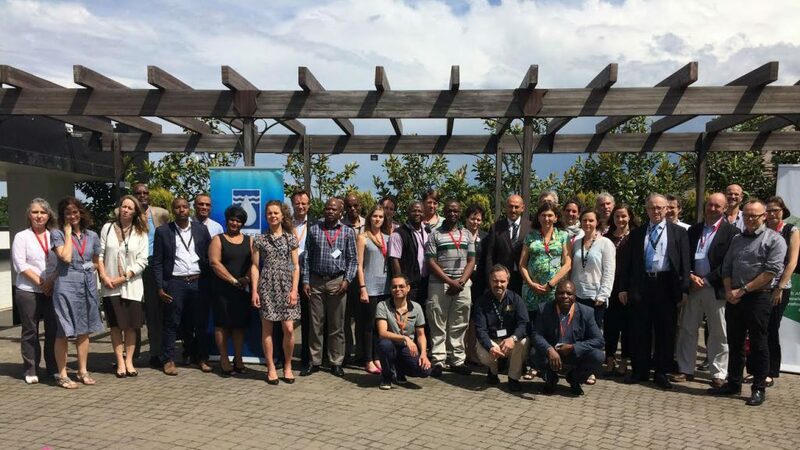 Held in Pietermaritzburg, South Africa, this technical workshop was the final workshop of four held in different regions of the world in connection with the Future Earth initiative. The event comprised both a technical workshop (3 days) and dialogue (1.5 days) to address the science-policy interface in the W-E-F Nexus. In addition to addressing W-E-F Nexus issues, the three-day event emphasised the contributions of the Future Earth W-E-F Cluster study to the implementation of the Sustainable Development Goals (SDGs) in the areas of water, energy, and food. Please find below the final agenda and links to available presentations, in pdf format, from the workshop. Identify the critical issues related to the W-E-F Nexus generally in Africa and particularly in southern Africa. Assess information needs and the potential benefits of Earth observations and integrated information systems in the W-E-F Nexus context. Identify governance gaps in addressing W-E-F Nexus issues and requirements for information and strategies to improve the performance of the water, energy, and food sectors. Assess the role of a W-E-F Nexus approach to support the effective implementation of the SDGs and the potential of the UN SDG process to support the W-E-F Nexus. Identify needs and opportunities for capacity building. Each presenter will make an 8-minute presentation (40 minutes total), then the floor will be open for targeted discussions (50 minutes). Each presenter will make a 10-minute presentation (40 minutes total), then the floor will be open for targeted discussions (50 minutes). Each presenter will make a 10-minute presentation (30 minutes total), then the floor will be open for targeted discussions (30 minutes). 15:55-17:15 Breakout groups: Participants will have the options of joining the breakout group of their preference.